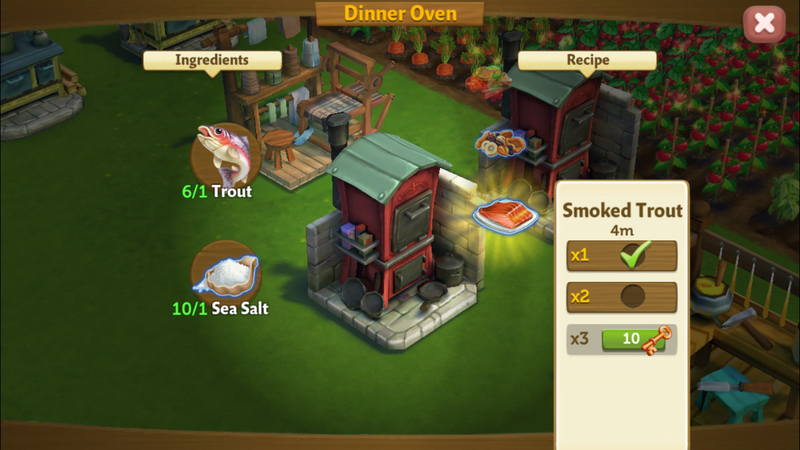 Ahoy, FarmVille fans – something new is coming to the mobile farm! 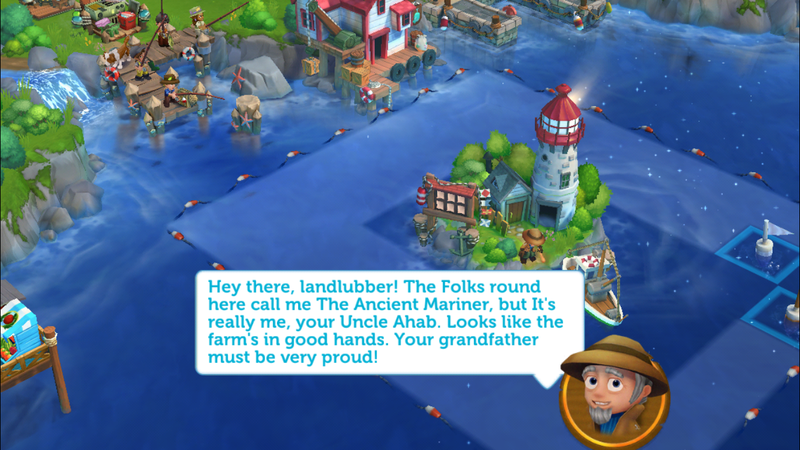 Since launching FarmVille 2: Country Escape in April 2014, the number one most requested feature from our players is access to the Lighthouse and the mysterious Ancient Mariner. We are excited to announce that beginning today, players will have early access to unlock these new and exciting features. 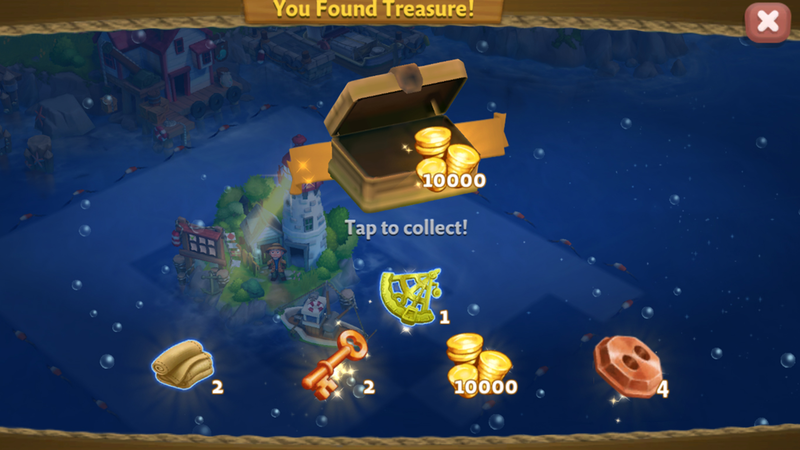 As part of the new game features, players can embark on Treasure Hunts to uncover rare items such as sea salt, diving helmets and anchors by hunting with gold, silver and bronze nets. The better the net, the rarer the treasure and the faster your retrieval time. In addition to treasure, nets can also be used to hunt for mystery journal pieces. Find all five journal pieces to reveal the secret of the Ancient Mariner and unlock the Lighthouse. 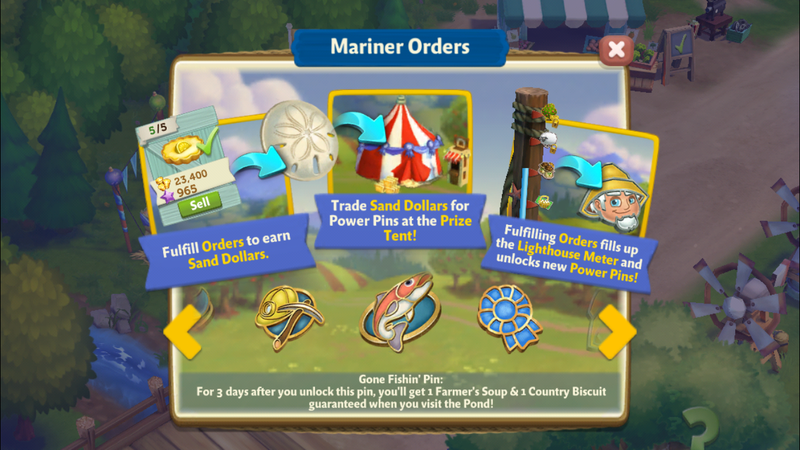 The Lighthouse is a timed order board that introduces a new form of currency, the sand dollar, and features fun Cove Keepsake crafting challenges including spyglasses, smoked trout, mermaid figurines and cove punch. Sand dollars can be exchanged for Power Pins, which are special boosts that speed up activities on your farm. In addition to unveiling the Lighthouse and Treasure Hunting, a new crop of Prize Pins are coming to FarmVille 2: Country Escape to help players farm faster than ever before. With the Make It Rain Power Pin, it’s easier than ever to retrieve water and distribute across your entire farm simultaneously with just one touch. Players can also unlock the Ancient Mariner Power Pin which grants access to the Ancient Mariner farmhand for three days at a time. Early access via in-game currency is available starting today to players who are level 23 and above. 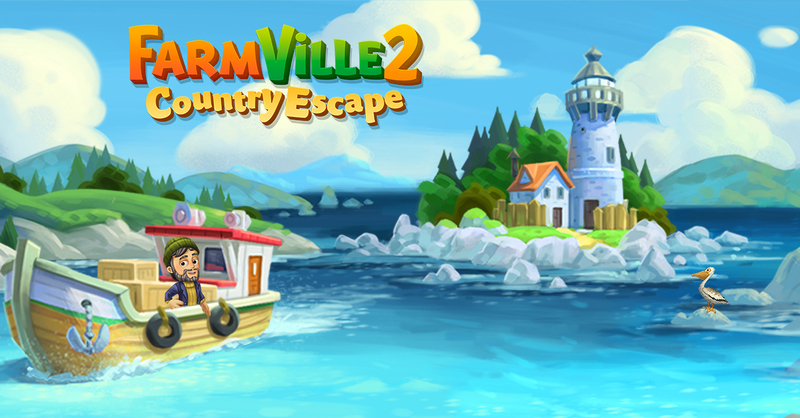 So undock your boat, grab your net and head for open water to explore the mysteries of the deep sea in FarmVille 2:Country Escape!